Hello all.... at first I wanted to do nursing because I LOVED working with patients. but I am just going to get right into it. I am close to finishing my BSN and I KNOW bedside nursing is not for me. I know I am going to get burnt out quick. I know a lot of people are going to say " you never know until you actually start" but trust me, I know. A lot of it has to do with my anxiety and being scared of making a mistake with the amount of patients I will have. With that being said, I was looking at other options for nursing besides bedside and noticed they require a certain amount of clinical experience. 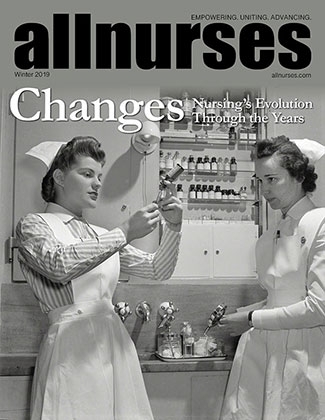 What are some options for nursing that require minimal clinical experience? My aunt told me I could work in her clinical as a medical assistant but I have a lot of student loans and bills to pay and that would require me to go bankrupt. Any job that’s “easy” and available to someone with little or no experience is going to be low paying. The problem you’ll face is that the easier jobs will usually be filled with someone with more experience first. Almost all of the easier type jobs require a clinical background so you can work more independently. There may be some out there but I’m not sure where. Yes they almost always pay less. If you can’t find anything, I would recommend finding something on nights as those are a little easier to handle when you are new! Also, almost everyone has anxiety and worried about making a mistake when having lots of patients. That doesn’t mean you should avoid it as that’s how you learn and grow. Some hospitals have a new grad program where they let you try several units to see where you fit best. You may want to try that. Good luck! Your aunt won’t hire you as an RN in her clinic? If it is indeed HER clinic. Basically, you got yourself in a pickle, accruing a bunch of debt for a degree that you aren't going to be able to use. There are lots of young people in the same boat these days. My daughter got a psychology degree and is teaching English in Taiwan. She's saved $9000 so far and has gotten to travel all over Asia as well. She has no debt fortunately. I recommend this, it is a wonderful experience and you can save money! I worked at doctors office as a new grad. It was a different kind of stress but definitely not as stressful as bedside and I didn’t make nearly as much as I do now. Student loans aren't dischargeable in bankruptcy. Even if you declare bankruptcy the student loans will still be there waiting for you. I would look into doctors offices or clinics for some clinical experience. Get on some job boards and do some research! There are plenty of nursing niche's outside of " bedside". Even if you can't jump right into something you would ultimately prefer, find somewhere you can start building a foundation and go from there. Nursing is a huge field, I hate to see people give up. Best of luck!